Orban may be a black sheep in Brussels, but to Netanyahu he’s a kindred spirit. Hungarian Prime Minister Viktor Orban is perhaps Europe's most outspoken illiberal leader. He's reviled by many in the Western establishment for his demonization of migrants and his steady undermining of democracy at home. He has also seemingly courted his country’s right-wing anti-Semites: A key plank of his successful April re-election bid centered on his loathing for Jewish American financier George Soros, whom Orban scapegoated as a national menace for his support of liberal NGOs in Hungary. His government has pushed through a so-called “Stop Soros” law, criminalizing individuals and organizations that aid asylum seekers and migrants, which provoked legal action from the European Union. Critics also spied blatant anti-Semitic tropes in Orban’s propaganda. Orban's nationalism reaches into even darker territory. Last year, he hailed Miklos Horthy, a World War II-era Hungarian nationalist and Nazi collaborator, as "an exceptional statesman." That statement provoked ire from various Jewish organizations in Europe and Israel. 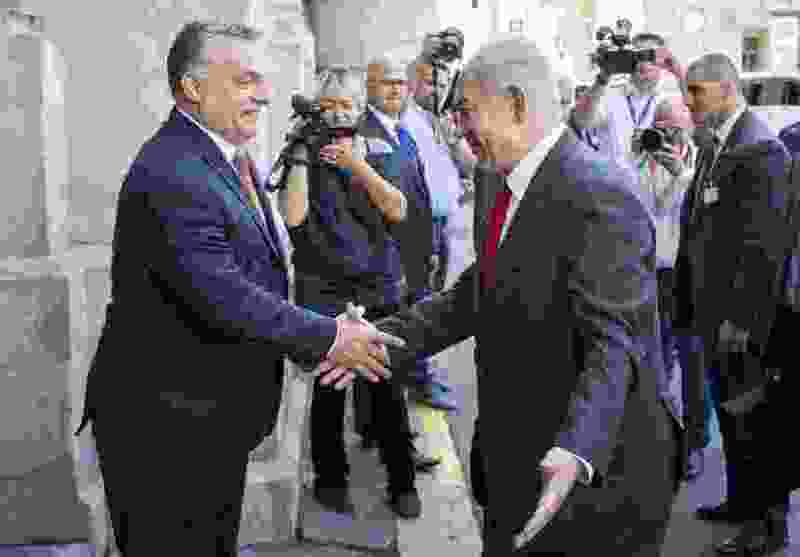 Despite all of this, however, there was Orban in Jerusalem on Thursday, standing at a news conference next to Israeli Prime Minister Benjamin Netanyahu, who warmly welcomed his Hungarian counterpart during his two-day trip to the Jewish state. Benjamin Netanyahu tweeted "I am happy to host in Israel my friend, the prime minister of Hungary, Viktor Orban. The relations between Israel and Hungary have become very strong in recent years, and we will continue to strengthen them." Orban may be a black sheep in Brussels, but to Netanyahu he's a kindred spirit. The Israeli prime minister, a fellow right-wing nationalist, shares the Hungarian's affinity for President Donald Trump and antipathy toward the custodians of the liberal order in Europe - including figures such as Soros. When Netanyahu faced an international backlash, led by American Jews, against his plans to deport tens of thousands of African asylum seekers, he blamed the liberal financier for the criticism. His son once posted a neo-fascist, anti-Soros meme on social media. Netanyahu, to the ire of many Israelis, signed a joint statement with Poland's right-wing government this month softening Israel's stance toward a divisive new law passed in Warsaw that criminalizes certain criticism of Poland's role in the Nazi genocide of Europe's Jews. Netanyahu also gave something of a pass to Orban for his comments praising Horthy. As Haaretz journalist Anshel Pfeffer writes, Netanyahu is courting nationalists in Eastern and Central Europe to blunt E.U. criticism of Israel's provocative moves at home, from its perennial expansion of West Bank settlements to new laws passed this week that prioritize Jewish-only communities, downgrade the status of Arabic, and limit Palestinian access to the nation's highest court. "Though largely symbolic, the new nationality law omits any mention of democracy or enunciation of the principle of equality, in what critics called a betrayal of Israel's foundational document, its Declaration of Independence," explained the New York Times. "Opponents say it will inevitably harm the delicate balance between the country's Jewish majority and its Arab minority, which makes up about 21 percent of a population of nearly nine million." Netanyahu's courtship seems to be paying off. "Officially, Hungary is still sticking to the EU position of supporting the two-state solution and not recognizing Jerusalem as Israel's capital," wrote Pfeffer. "But while he is in Israel this week, Orban will make another gesture by visiting the Western Wall in Jerusalem. And he will be defying EU practice, if not official policy, by not including a meeting with Palestinian President Mahmoud Abbas in Ramallah on his schedule as well." A host of Netanyahu's domestic opponents also kicked up a fuss. "After he disrespected the memory of Holocaust victims in the agreement with Poland, today Netanyahu will pay honors to Hungarian Prime Minister Orban, who hailed and praised the anti-Semitic ruler who collaborated with the Nazis in destroying the Jews of Hungary," lawmaker Yair Lapid wrote on Twitter. "Shame!" At a news conference in Jerusalem, Netanyahu preferred to focus on another bête noire the two men share. "The threat of radical Islam is a real one," he said. "It could endanger Europe. It could endanger the world." Orban, meanwhile, said the strength of the new bonds between the two governments hinged on "excellent personal ties" between himself and Netanyahu, "because the two countries have patriots as leaders." He insisted that Jews "can feel safe" in Hungary and declared that "expressions against the state of Israel" count as a "form of anti-Semitism." Netanyahu's defenders argue that the Israeli prime minister is simply tacking to the political winds of the moment. "Israel has no choice but to reach out and develop as many friendships and relationships as it can among the family of nations," argued an editorial in the Jerusalem Post. "Netanyahu's multitude of visits to Moscow to see Russian President Vladimir Putin and his unprecedented closeness with Trump don't derive from an across-the-board acceptance of everything they stand for." The same, the editorial contended, should be considered in Netanyahu's embrace of Orban. Ishaan Tharoor writes about foreign affairs for The Washington Post. 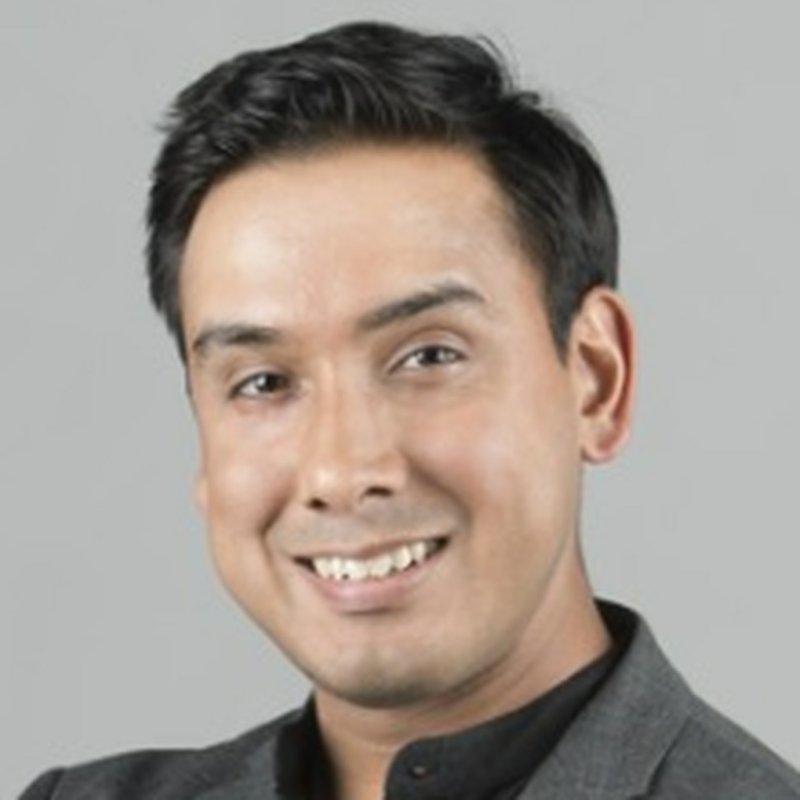 He previously was a senior editor and correspondent at Time magazine, based first in Hong Kong and later in New York. The Triple Team: Jazz were “a little too nice” against Rockets, says Rudy Gobert. Can they set a better tone?